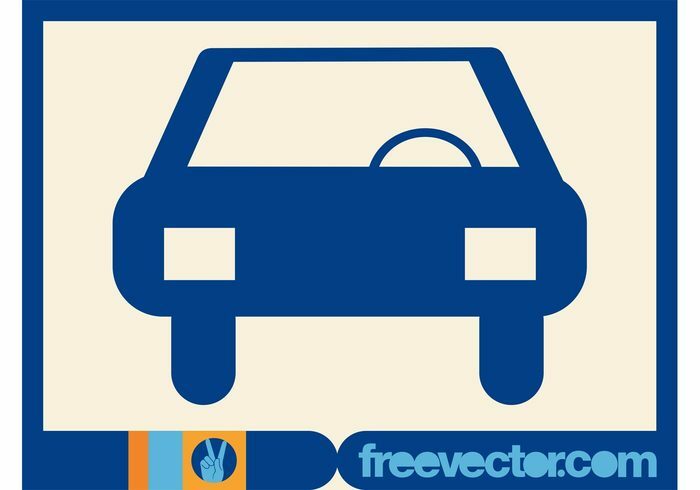 Automobile vector layout with a car seen from the front. Vehicle illustration made out of basic geometric shapes. Large wheels and headlights. Free vector footage to create company icons, application icons, stickers, decals and poster decorations. Car for driving and road visuals.